While driving in the darkness up U.S. highway 2 all I could think about was the abundance of wild game and fish that lay waiting for me at the end of my destination. This was a state that I have never been too and have just recently been doing some research on. The area I was going to is not a famed fly fishing destination like the Blackfoot or Bitterroot rivers made famous from the movie “A river Runs Through It” but instead an area that has not had much outside influence. It is quite a few miles way from Yellowstone Park and near but not too near to Glacier National park. The closest wilderness area is called the Cabinet Mountain Wilderness and its trails will take you all the way to the continental divide. The closest town is Libby and you are only about 60 miles from the Canadian border. It takes about 16 hours of driving from the bay area. It is an unspoiled area and you will see many animals like deer, elk and coyotes. If you are lucky you will see bears like black bears, cinnamon bears, grizzly bears and of course if you are real lucky you may see a moose or a wolf. There are many birds as well but the ones that get your heart racing when you walk by are the four or so species of grouse. Here in California the grouse are scarce but in this region of Montana there are many grouse and they are tasty. The meat is the color of chicken but with 10 times the flavor. Donovan, one of the ranch hands was kind enough to share his brace of cooked grouse and they were out of this world. Once I arrived, the first thing I did after unpacking was go fishing. 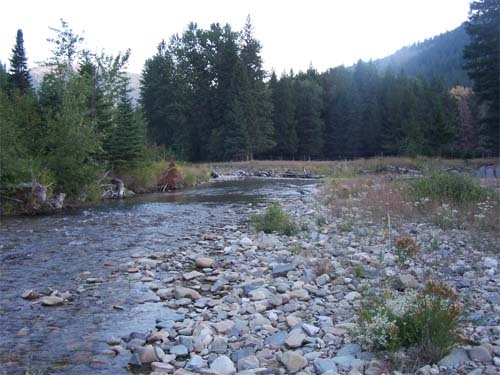 There is a stream that flows into the East Fisher River that flows right through the property. I was almost immediately surprised by catching a couple of wild mountain rainbow trout on a partridge and orange soft hackle I had tied. I continued fishing this wet fly in some of the deeper holes and continued catching fish. 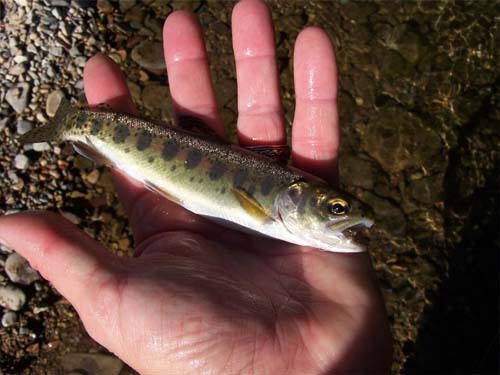 There are brook trout, cutthroat, rainbows, cut bows and a few browns in this part of the country but in this stream I was only able to catch rainbow trout that afternoon. There is a drought in this part of the country as well but you could not tell by how green this part of Montana is and how a majority of the small creeks are still flowing. I drank from these springs and streams on a daily basis. By the end of my trip I felt like a new person. The water does not contain as much silt as the water in Yosemite and after one of my long hikes it was extremely refreshing to place my lips on a cool running stream. The majority of my trip I spent archery hunting for elk, which is what I went there for but I’m thinking of coming back next summer to fish some of the high country lakes and streams that Silver Bow Outfitter’s guides on http://www.silverbowoutfitters.com/FishingDatesRates.htm. 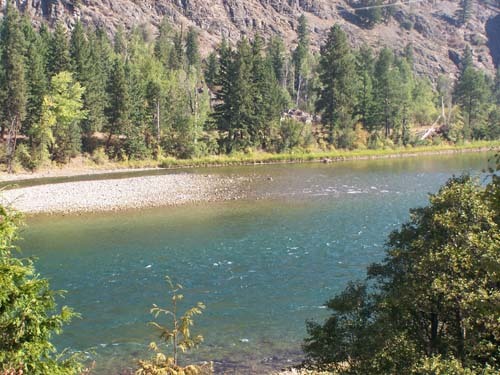 They also guide drift boats on the Kootenai River http://www.silverbowoutfitters.com/DriftBoatTrips.htm which is a major river in these parts and holds world record rainbow trout in the 33 lbs range. There rates are reasonable. Just tell them Rocky sent you and they will give you a good rate but best of all you will have the time of your life. On the ranch property they own there are horses that will take just about anywhere in those mountains. There are also rustic log cabins that you can sleep in complete with beds, wood stove and gas lanterns. The main house is a rustic log cabin that will cater your breakfast, lunch and dinners if you so desire.